Irena Sendler, a little lady who saved 2,500 Jewish children from the Warsaw Ghetto, is today known all over the world as the "Other Schindler." In the creepiest of war atrocities, downed flyers over the bypassed island of Chichi Jima had been captured, executed, and eaten by their Japanese captors. Poland: In the Russo-Polish War, Polish Marshal Pilsudski launches a counter-offensive in the Deblin sector in Poland. Every available Polish aircraft is thrown into action to support the ground troops. Under the combined air-ground onslaught, the Soviet troops break down. This war will end on 14 Oct 20, but may help shed light on the Soviet Union's eagerness to side with Hitler in the invasion of Poland on 01 Sep 39. Spain: Day 31 of 985 of the Spanish Civil War. Republican Catalan troops land on Majorca and by the evening have advanced eight miles inland from their landing place at Porto Cristo. Spain: Day 396 of 985 of the Spanish Civil War. CBI - China: Day 41 of 2,987 of the 2nd Sino-Japanese War. Day 4 of 106 of the 2nd Battle of Shanghai. Japanese bombers attack a Chinese airfield near Nanjing and at Jiangyin. The US Adviser on Political Relations sends a memo to the US Secretary of State Cordell Hull requesting further reinforcements for the US 4th Marine Regiment in Shanghai. Spain: Day 761 of 985 of the Spanish Civil War. CBI - China: Day 406 of 2,987 of the 2nd Sino-Japanese War. Day 67 of 139 of the Battle of Wuhan. ETO: The French Signals Intelligence gives the British Secret Service a Polish-built copy of the German Enigma coding machine. CBI - China: Day 771 of 2,987 of the 2nd Sino-Japanese War. Day 64 of 68 of the Battle of Tianjin. CBI - Mongolia: Day 98 of 129 of the Battle of Khalkhin Gol, a border dispute between the Soviet Union and Japan. ETO - UK: Day 38 of 114 of the Battle of Britain. The Luftwaffe bombs airfields in southern England and hits shipping in the Thames estuary. Pilot Officer W M "Billy" Fiske, an American pilot in the RAF, is mortally wounded during one of the raids and will become the only American killed in combat during the Battle of Britain. During the Battle of Britain, several US citizens flew with Fighter Command (sources vary from 7 to 11). As America was neutral at that time, these brave men risked the wrath of their home government by volunteering for the Royal Air Force. But their love of flying and their belief in the British cause drove them to take the risk. In order to avoid detection by the authorities, the volunteers pretended to be Canadians, then caught ships to the UK and joined up. Two would not survive the Battle of Britain, and five more would die before the end of the War. William "Billy" Fiske, born in Brooklyn, New York, had played sports throughout his education and in 1928, at just 16, he won a gold medal at the Winter Olympics in St Moritz, Switzerland, having led his five-man US bobsled team to victory. Repulsed by emerging Nazi politics, he declined an invitation to participate in the 1936 Winter Olympics held in Germany. On Aug 16 40, in the midst of the Battle of Britain, Number 601 Squadron RAF was scrambled to intercept a squadron of German dive-bombers. Fiske was flying a Hawker Hurricane. The Squadron destroyed eight Junkers Ju 87 Stukas, but after just 15 minutes of flying time, a German gunner put a bullet through Fiske's fuel tank. With his aircraft badly damaged and his hands and ankles burnt, instead of bailing out, Fiske nursed his Hurricane home, gliding over a hedgerow to the airfield. 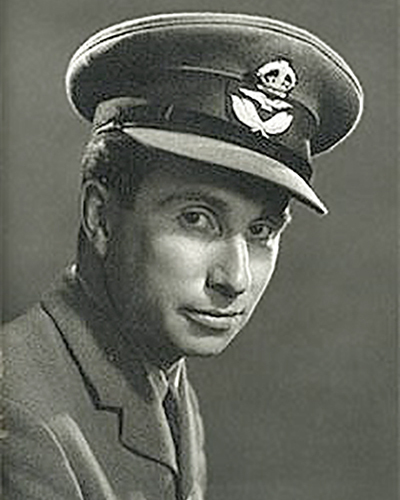 Although he landed his aircraft safely back at Tangmere, Fiske had to be extracted from the aircraft by ambulance attendants just before his fuel tank exploded. Fiske was rushed to Royal West Sussex Hospital in Chichester for treatment. He died 48 hours later from surgical shock. Fiske was 29 years old. Fiske is buried in St Mary and St Blaise churchyard in Boxgrove, Sussex, England. The inscription on his gravestone reads simply, "He died for England." The US Bobsled and Skeleton Federation created the Billy Fiske Memorial Trophy as a posthumous tribute to him. The trophy is awarded to the national champion four-man bobsled team each year. Atlantic: German sub U-100 sinks the British ship EMPIRE MERCHANT 150 miles northwest of Ireland. 150 miles further northwest, a German wolfpack consisting of U-30, U-46 and U-48 attack an Allied convoy, sinking Swedish ship HEDRUN and British ship CLAN MACPHEE. Finland: US Army Transport AMERICAN LEGION departs from Petsamo, Finland, for New York City with Crown Princess Martha of Norway and her three children on board. Europe: Hungary and Romania begin negotiating over Transylvania, which Hungary wants to take over from Romania. The negotiation soon turns into a deadlock. MTO - Albania: British submarine OSIRIS sinks the Italian ship MOREA 50 miles west of Durrës. East Africa: Day 68 of 537 of Italy's East African campaign in the lands south of Egypt. In British Somaliland, British and Commonwealth troops begin evacuating Berbera while Italian troops march cautiously closer to the capital. Italian aircraft allow the evacuation operation to take place in order to maintain good relations with Britain. PTO: The German warship ORION sinks the French ship NOTU which was en route to Nouméa, New Caledonia. CBI - China: Day 1,137 of 2,987 of the 2nd Sino-Japanese War. Day 276 of 381 of the Battle of South Guangxi. Germany: Attacks from the pulpit on the Nazis by Bishop Count Clemens von Galen denouncing Hitler's euthanasia program, the systematic murder of the mentally ill and handicapped, have been so severe that Nazi official Walter Tiessler proposes in a letter to Martin Bormann that the Bishop be executed. He is not, yet Hitler does not need such publicity and orders the program suspended, at least in Germany. But 50,000 people have already fallen victim to it and it will be renewed in occupied Poland. In 1939, D Viktor Brack, head of Hitler's Euthanasia Department, oversaw the creation of the T.4 program, which began as the systematic killing of children deemed "mentally defective." Children were transported from all over Germany to a Special Psychiatric Youth Department and killed. Later, certain criteria were established for non-Jewish children. They had to be "certified" mentally ill, schizophrenic, or incapable of working for one reason or another. Jewish children already in mental hospitals, whatever the reason or whatever the prognosis, were automatically to be subject to the program. The victims were either injected with lethal substances or were led to "showers" where the children sat as gas flooded the room through water pipes. The program was then expanded to adults. It wasn't long before protests began mounting within Germany, especially by doctors and clergy. Some had the courage to write Hitler directly and describe the T.4 program as "barbaric." Others circulated their opinions more discreetly. Heinrich Himmler, head of the SS and the man who would direct the systematic extermination of European Jewry, had only one regret: that the SS had not been put in charge of the whole affair. "We know how to deal with it correctly, without causing useless uproar among the people." Germany: Dutch prisoners Steinmetz and Larive escape the POW camp at Colditz Castle in Germany. They are the first successful Dutch escapees from Colditz. USSR: Stalin agrees to the aid plan from the US and UK and the Anglo-Soviet exchange agreement is signed. Russian Front - Finland: Day 49 of 142 of Operation SILVER FOX, a joint German-Finnish campaign to capture the Russian port of Murmansk in the Arctic. Russian Front - Finland: Day 47 of 140 of Operation ARCTIC FOX, a joint German-Finnish campaign against Soviet Northern Front defenses at Salla, Finland. Russian Front - Finland: Day 56 of 164 of the Battle of Hanko. Russian Front: Day 56 of 167 of Germany's Operation BARBAROSSA, the invasion of the USSR. Russian Front - North: Army Group North captures Novgorod as they head to Leningrad. Russian Front - Center: Day 24 of 38 of the Battle of Gomel, Belarus. Russian Front - South: German Army Group South keeps pushing toward Stalingrad. Russian Front - South: Day 9 of 70 of the Siege of Odessa, Ukraine. Romanian troops renew their attack on Odessa. Russian Front - South: German Army Group South captures Nikolaev, Ukraine, an important Soviet naval base on the Black Sea. MTO - Libya: Day 129 of 256 of the Siege of Tobruk. East Africa: Day 433 of 537 of Italy's East African campaign in the lands south of Egypt. CBI - China: Day 1,502 of 2,987 of the 2nd Sino-Japanese War. Russian Front - North: Day 343 of 872 of the Siege of Leningrad. Russian Front - North: Day 104 of 658 of the Siege of the Kholm Pocket. Russian Front - Center: Day 18 of 64 of the 1st Battle of Rzhev-Sychevka, Russia. German troops near Rzhev continue their attempts to break their encirclement. Russian Front - South: Day 50 of 150 of Germany's CASE BLUE. German Army Group South reaches the Kadar Gorge in southern Russia. MTO - Egypt: US B-25s attack the Axis depot and tank repair facility at Matruh. East Africa: Day 104 of 186 of the Battle of Madagascar. CBI - China: Day 1,867 of 2,987 of the 2nd Sino-Japanese War. Day 94 of 124 of Japan's Zhejiang-Jiangxi Campaign, launched to punish anyone suspected of aiding the Doolittle raiders in China. Roughly 250,000 Chinese will be killed. PTO - Alaska: Day 71 of 435 of the Battle of Kiska, Aleutian Islands. PTO - Malaya: Day 179 of 357 of the Battle of Timor Island. PTO - New Guinea: Day 27 of 119 of the Battle of the Kokoda Track. US 5th and 13th Air Forces provide air support. PTO - Solomon Islands: Day 10 of 187 of the Battle of Guadalcanal. US 5th Army Air Force provides air support. The captured airfield at Guadalcanal is renamed Henderson Field by the Americans, in honor of Major Lofton Henderson, a marine pilot killed in the Battle of Midway. ETO - France: US 8th Air Force B-17s and B-26s bomb airfields. Poland: Starting this date and continuing for the next seven days, revolt and destruction take place in the Bialystok Ghetto as it becomes liquidated. Russian Front - North: Day 708 of 872 of the Siege of Leningrad. Russian Front - North: Day 469 of 658 of the Siege of the Kholm Pocket. Russian Front - Center: Day 43 of 50 of the Battle of Kursk, Russia. Russian Front - Center: Day 36 of 38 of the Battle of Orel, Russia. Russian Front - Center: Day 10 of 57 of the 2nd Battle of Smolensk, Russia. Russian Front - Center: Day 10 of 14 of the Battle of Spas-Demensk, Russia. Russian Front - Center: Day 4 of 6 of the 1st Battle of Dukhovshchina-Demidov, Russia. Russian Front - South: Day 35 of 48 of the USSR's Lvov-Sandomierz Offensive. The Soviets launch an attack on the Mius Line toward Stalino (now Donetsk), Ukraine. MTO - Italy: Day 39 of 40 of the Battle of Sicily. RAF and US Air Forces provide air support. During the evening, US troops enter Messina in a final push to clear the island. Meanwhile, the Axis evacuation of 100,000 troops to the mainland is complete as the rearguard loads into boats. CBI - Burma: US 10th Air Force sinks two small vessels about 130 miles south of Rangoon. CBI - China: Day 2,232 of 2,987 of the 2nd Sino-Japanese War. US 14th Air Force bombs the town of Tengchung. PTO - New Guinea: Day 117 of 148 of the 2nd Battle of Lae-Salamaua. US 5th and 13th Air Forces provide air support. PTO - Solomon Islands: Day 58 of 67 of the Battle of New Georgia. US 5th and 13th Air Forces provide air support. PTO - Solomon Islands: Day 2 of 56 of the Battle of Vella Lavella. US 5th and 13th Air Forces provide air support. Atlantic: The US coastal minesweeper YMSA-24 hits a naval mine and sinks off Saint-Tropez, France. ETO - UK: Day 65 of 86 of the V-1 "Buzz Bomb" offensive on Britain. ETO - France: Day 23 of 29 of the Breakout Battle of Normandy. Allied Air Forces provide air support. Radio Paris, the German-controlled collaborationist radio station, goes off the air. George S Patton is promoted to Major General in the Regular Army. ETO - France: Day 16 of 284 of the Battle of Brittany. ETO - France: Day 2 of 32 of Operation DRAGOON, the Allied invasion of southern France. French resistance fighters capture three German posts along the Swiss border. ETO - Germany: US 8th Air Force bombs oil refineries and aircraft plants in central Germany. Russian Front - North: Day 7 of 28 of the Battle of Tartu in southeastern Estonia. Russian Front - Center: Day 20 of 32 of the Battle of Kaunas, Lithuania. Russian Front: Day 1 of 12 of the German Operation DOPPELKOPF in Lithuania. This was mounted to restore the connection between German Army Groups North and Centre. Russian Front - Center: The Soviets keep pouring into Poland. MTO - Germany: US 15th Air Force B-24s bomb a chemical works at Friedrichshafen. CBI - Burma: Day 165 of 166 of the UK's Operation THURSDAY. US 10th Air Force provides air support. CBI - Burma: Day 138 of 302 of the Chinese Salween Offensive. US 14th Air Force provides air support. CBI - China: Day 2,598 of 2,987 of the 2nd Sino-Japanese War. Day 122 of 259 of Japan's Operation ICHI-GO.Japanese troops enter Guangxi Province. The USS CROAKER sinks a Japanese patrol vessel in the South China Sea with 1 of 3 torpedoes fired. CBI - India: Japanese resistance in northeast India finally ends. PTO - Caroline Islands: US planes hits targets on Pagan Island and Truk Atoll. PTO - Dutch New Guinea: Day 46 of 61 of the Battle of Noemfoor. Although the island has been declared secured, bitter fighting from Japanese continues. PTO - New Guinea: Day 82 of 83 of the Battle of Biak. There are still 3,000 Japanese soldiers on the island who won't give up. PTO - New Guinea: Day 246 of 597 of the Battle of New Britain. US 13th Air Force provides air support. PTO - New Guinea: Day 117 of 481 of the Battle of Western New Guinea. 5th Air Force provides air support. PTO - New Guinea: Day 64 of 80 of the Battle of Lone Tree Hill. PTO - New Guinea: Day 38 of 47 of the Battle of Driniumor River. PTO - Solomon Islands: Day 290 of 295 of the Battle of the Bougainville Islands. US 13th Air Force provides air support. USA: Gasoline and fuel oil rationing comes to an end. UK: Winston Churchill delivers an address in the House of Commons warning of the communist "iron curtain" dividing Eastern and Western Europe. CBI - China: Day 2,963 of 2,987 of the 2nd Sino-Japanese War. General Wainwright, a POW since 6 May 1942, is released from a POW camp in Liaoyuan, Liaobei Province, China (Manchuria). Day 8 of 25 of the Soviet Invasion of Manchuria. The Soviets capture Emperor Kangde, the puppet emperor of Manchukuo. USSR: While towing the German aircraft carrier GRAF ZEPPELIN toward Leningrad, the Soviets use her for target practice and controlled demolition and sink her. There's something about this film that's so irresistible, despite its grandiose manipulation. Maybe because it recounts the greatest air battle in history, achieving the greatest aerial battle in film history. Maybe because it has such a terrific cast. Maybe because it's so technically well-made. 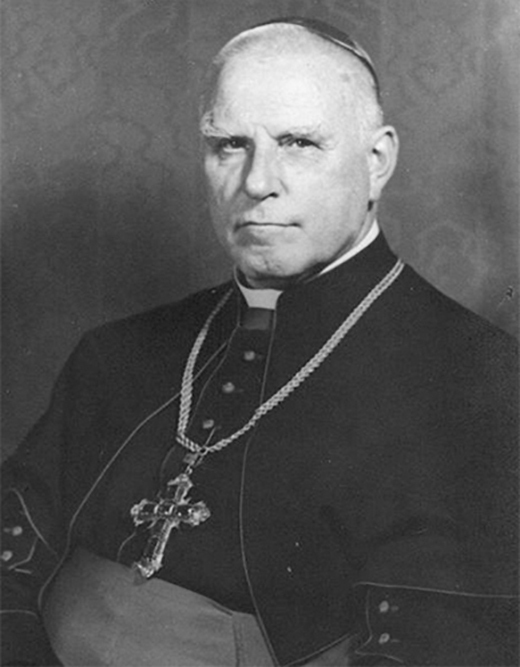 Clemens August Graf von Galen, Bishop of Munster from 1933 until his death in 1946, is renowned for his opposition to Nazism, most notably for his public preaching in 1941 against Hitler's euthanasia project to rid the country of sick, elderly, mentally retarded, and disabled Germans. 28 Abbott & Costello films produced during the height of their popularity in one collection, including Buck Privates which features the Andrews Sisters doing the immortal classic Boogie Woogie Bugle Boy!